Description: A portrait illustration for The Bloom Effect, the music industry agency in NYC. Timothy Bloom (one of their artists at The Bloom Effect) is a Grammy Awards-winning songwriter (for Ne-Yo, Chris Brown, as well as Smokey Robinson) and producer, also he begun his solo career. His lyrical talent is God-given, the sound he creates is like good aged bourbon, and his voice is pure sweet. So back to the illustration. 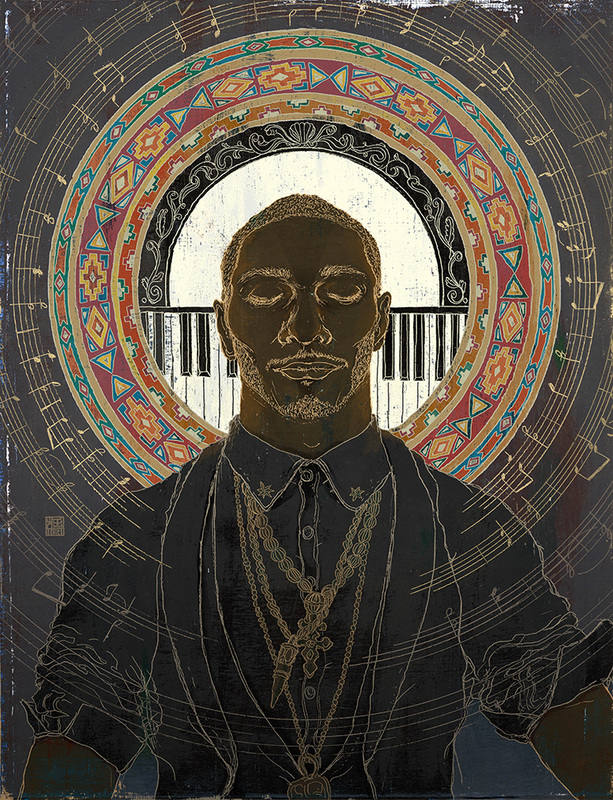 He does play the guitar and piano tremendously in energetic and soulful matter when he performs, but my focus on this illustration was more the interaction of his creativity and his spirituality. He listens what his soul cries out, he listens what the spirit guides him, and that produces great “soul” music. Hope you see it in this.